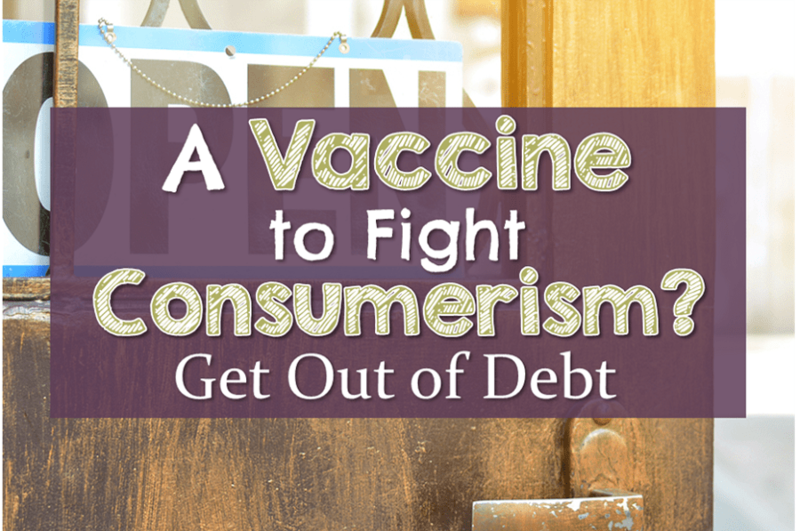 A Vaccine to Fight Consumerism? 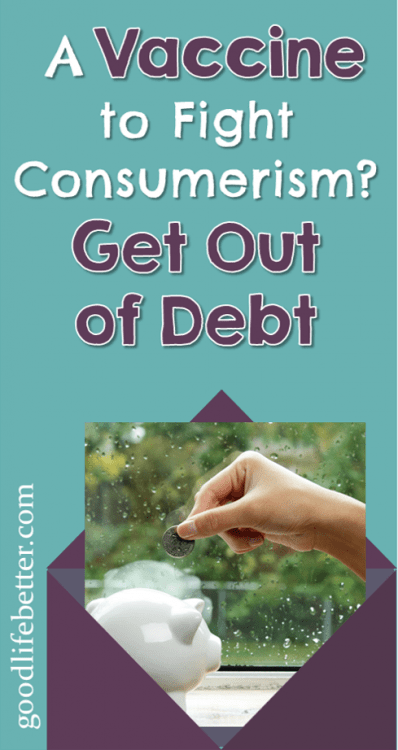 Get Out of Debt | Good Life. Better. It seems like a lot of the programs I watch on TV run the same ten or so commercials over and over again. While you might think this would make it easier to tune them out, I have found the opposite is true: I am mesmerized by them. My fascination, however, isn’t a “I must go out and purchase the item right away” kind of fascination. Instead, what I find myself doing is studying the ads, trying to figure out why the company—who I am sure has invested millions in market research—is deploying that particular sales strategy. Would anyone actually fall for their approach? The answer, of course, is yes. Given the money invested, I have no doubt there are people out there who will find the commercials persuasive. I, however, am no longer one of them. Turns out, after everything I have done these last few years—especially since January 2017—to get my finances in order, I have stopped being a target market. I don’t want to pick on any particular brands but will mention two of the categories of products that puzzle me the most: smart phones and cars. While I am admittedly older than the people they are likely trying to appeal to, as someone who can actually afford to buy a new phone I find these commercials the strangest. 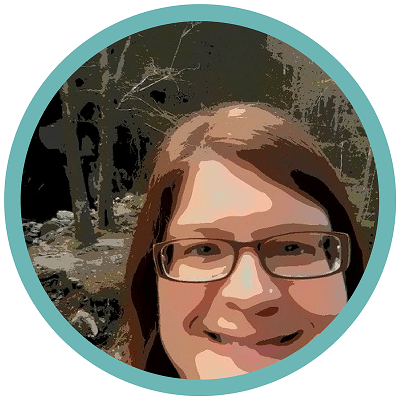 There is one where a girl takes a picture of herself with her phone and the phone turns it into a cartoon image and then she makes faces into her phone and the cartoon version mimics her. Really? I admit I am curious to know if my cartoon face would also have dark circles under her eyes and a double chin but not nearly enough to spend hundreds of dollars on a new phone. I am also not inclined to purchase one as a gift for my niece or nephew based on this feature. I want to see their actual faces not cartoon images. And I certainly don’t want to sit across from them watching them make faces into their phone to amuse themselves. It would be like watching a caged bird preen as he stares into a mirror. There is also the commercial where the guy is in an open-air market purchasing items using his phone. One image shows the price tags falling to the ground as the rings magically appear on his fingers. If only coming up with the cash to pay for those rings was that easy! I have spent the last year or so intentionally creating space between me and the things I buy in an effort to become more mindful of my spending. This ad just makes me shake my head and ponder the agony he will be in when his credit card bill arrives. In full disclosure, I bought my car brand new and have no regrets. It is my second new Subaru Forester—I had the first one for almost 13 years and expect to have this one even longer—and I love driving it. So, it would be hypocritical of me to have a beef with these commercials simply because they are trying to get people to buy a new car. What I dislike is the strategies they use to do so. The second commercial I have a problem with ends with all the behind-the-times neighbors having traded in their current immaculately-looking SUVs and buying the same brand SUV as their forward-thinking neighbor. This puzzles me for several reasons. First, I can’t tell the SUVs apart. The one the commercial is for should have a unicorn horn or something similar on it to differentiate it. And second, would anyone really trade in a new car for another new car? Even though I bought my car new, I do understand that—as a depreciating asset that loses an enormous amount of its value in the first two years—buying new is a bad financial decision. This commercial is selling trading in your current new car for another new car that is indistinguishable from the first one. The financial hit here would be tremendous. Will people really fall for it? I sure hope not. I haven’t always been this aware of the strategies used to sell us stuff. I have two distinct memories from my childhood that make me cringe now. The first happened when I was about six. I was watching my mom put dishwasher detergent in the dishwasher and asked her why we didn’t use brand X. She asked why I thought we should and I responded that the commercial for brand X said it was the best. She laughed at me and said I shouldn’t believe commercials. In the second, I was around 16 and I told my mom we should buy a new watering can. She asked what was wrong with the one we had. I responded that it was ugly and a new one wouldn’t cost that much. She didn’t say anything in response but nevertheless, the exchange left a big impression on me (and resulted in me not buying a new watering can). Why was I so willing to spend money to replace something that still fulfilled its purpose? Neither of these incidents was so life-changing as to make me immune to consumerism. If they had been, I wouldn’t have had almost $60,000 in debt to pay off in January 2017. But I think they signaled an awareness of the impact of advertising on spending that helped me once I decided to take control of my finance. So if awareness wasn’t enough, what was? I think it’s having a goal for my money that is bigger than buying a new car or a new phone: to get out of debt and achieve financial independence. Having this goal means when I am trying to decide to buy something, the debate isn’t should I buy it or not. The debate is do I want it more than I want to be out of debt. And when I get out of debt, the debate will be do I want it more than I want to achieve financial independence. Sometimes the answer will be yes. 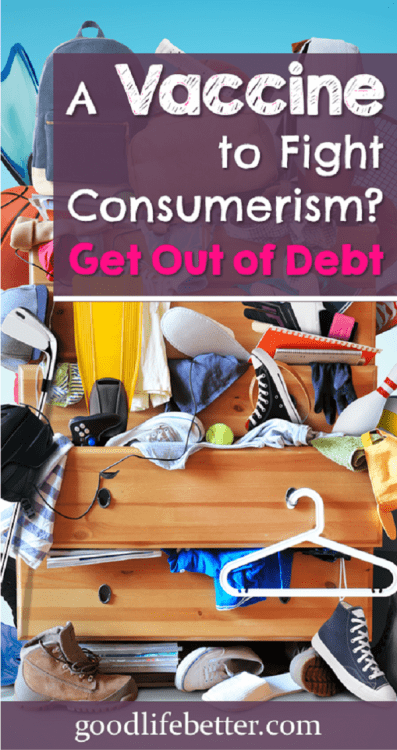 Bobby Hoyt writes on his blog, Millennial Money Man, about how he is much less frugal in his post-debt life than when he was while getting out of debt (Confession: I’m Not as Frugal as I used to Be…and I Like It). I think my experience will be similar. Have you found yourself becoming more mindful of—and less affected by—the constant messages that bombard us, trying to separate us from our money? If not, what would help you do so? Let me know in the comment section below! Since we don’t have cable (or currently a working tv), whenever we do watch something at a friend’s house my husband and I are always fascinated by commercials in such the same way. Especially when you aren’t accustomed to seeing them, they all seem so bizarre. And now I’m curious about that second phone commercial you mention. As someone who has gotten used to buying intentionally, the shear number of items the commercial shows him purchasing in 30 seconds is disturbing. Our big life goals definitely keep our spending down, but commercials are everywhere! Since my hubby has gone back to school we’ve had the opportunity to see a few movies in theaters for free or cheap. Movie theaters are dripping with encouragements to spend money. We’ve enjoyed getting to see Black Panther and Ready Player One (for $10 with popcorn and drinks TOTAL! ), but seeing all the advertising made us even more aware of why so many of our friends haven’t joined us on the FIRE journey. The pressure is tremendous! I haven’t bought new clothes in a while because of my debt pay off and I find my spidey senses heightened when it comes to looking at what other women are wearing. Once I get out of debt, I am thinking of setting some money aside to do some clothes shopping. But for every item I bring in, I have to get rid of something too. I have liked having fewer items to choose from! Good luck staying strong–as someone who took out loans for law school and then spent way to long getting rid of them, you will not regret being frugal now!